Many Android users are on a limited internet data plan. And, Android apps consume loads of data nowadays, leaving your data plan exhausted within a week. There are many apps that upload user statistics and information to their server without us knowing it. With the right app, you can easily track the usage and speed of your networks and apps without much effort. So, we searched and discovered a great app for this. Let’s see what the app is all about. What is EzyData all about? 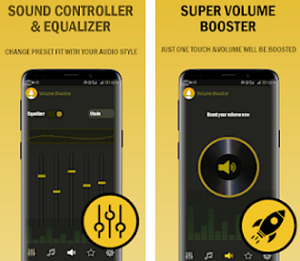 This is one tools app which is created as an speed meter which is very efficient and practical, helping the users to simply and without much effort track the daily usage and speed in their notification bar. By using this helpful app, all users can easily and quickly track the daily usage on their android, whenever they want to. On this app, the users will be able to easily screen the data usage for WIFI, mobile Internet, even the speed of their running apps. With separated statistics about the usage and the speed of their networks and apps, users are constantly tracking their phone’s data and speed. 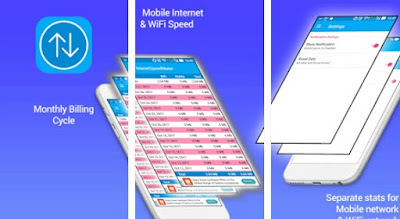 The EzyData is an android speed meter that is efficiently helping users to track the speed and data on their phones by showing them the WIFI and mobile Internet speed quickly and easily. With the help of this app, users are getting separated and detailed stats about their networks, mobile and WIFI and even getting the option to see their daily app usage for total data of mobile and WIFI. The users can track the daily usage and speed in the notification bar of their phone, without any effort and even the app offers to create monthly billing cycle for users. With using this practical app, all users can easily track the data for WIFI usage and cellular usage and easily screen it at the same time. Users are offered to keep track of the speed of their running apps in real time, being constantly informed about the usage and speed happening in their phones. Easy to use, this app takes care of the data usage and the speed of the user’s smartphone, keeping him informed whenever he wants to, without much effort. 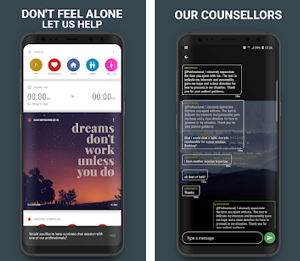 Download the app on Google Play now for free.